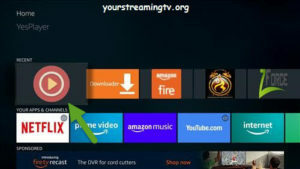 How To Install Yes Player APK On All Fire TV Devices. In the URL enter Google.com as seen in photo. Next that will load the Google home page as seen in photo. Next Click on the search box enter Yes Player APK as seen in photo. Next click on submit as seen in photo. Next you will see Yes Player APK in search box click to get results as seen in photo. Next you will see the search results as seen in photo. Next scroll down and click on Android APKS Box as seen in photo. Next that will bring you to the home page as seen in photo. Scroll down and click on the download link as seen in photo. 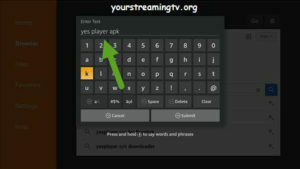 Next Yes Player APK will start to download as seen in photo. Next Yes Player will start to install as seen in photo. Now Yes Player Has been installed and you will find it under apps as seen in photo.